Boy things are getting interesting with SQ788 aren’t they? SQ788 has not even passed and we already have trade organizations and lawmakers talking about changing it. Lets be real clear about a few things. Should we pass SQ788, it has “principal tenets”. Big items we put in the law that are key “features”. In particular our regulation around a physician recommendation, protections so that Oklahomans could enter the marijuana business for a less than outrageous costs, and the rights of Oklahomans to grow their own medicine. There is already a “trade organization” asking marijuana growers for large donations with the promise that they will be able to “change the law” in July. Their proposed changes would be under the veil of “tightening up the law” but in reality they want to make it where YOU are not able to afford to get a grow license. They want to advantage the big money growers who are set to come into Oklahoma. They want to limit the amount of grows, and take away YOUR rights to home grow. Regrettably they are also tied pretty tightly to a YES organization. So watch where you spend your time and money. Then we have the legislature. Senator Yen’s attempt at a medical marijuana law looked like it came straight from the recommendations of the Pharmaceutical industry. In order to grow or dispense medical cannabis you would have to be a registered pharmacy. Fits in nicely with a Walgreens business model…just sayin’. And lets just say, by some miracle, Senator Yen’s S1120 did become law. 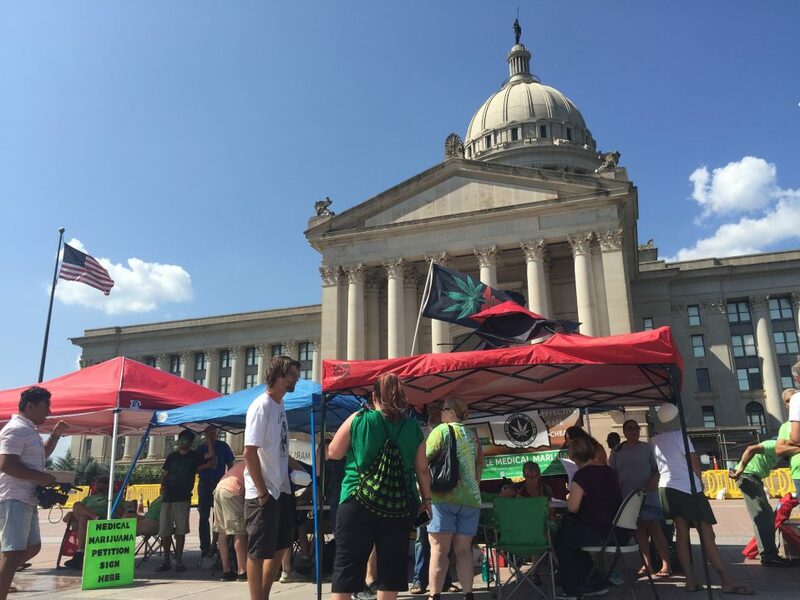 Were lawmakers really ready to put Oklahoma thru a Constitutional crisis by having 2 competing medical marijuana laws on the books should SQ788 pass? Really? Surely they are smarter than that! And guess what? SQ788, should it pass, would trump any legislative actions to over ride it. We have to pass it first, but make no mistake, we will defend SQ788.